The Smartest Rammers in the industry, this MBW line is equipped with integral tachometers and hour meters that indicate when maximum operational performance is being reached and when maintenance intervals are needed. The result is higher productivity and increased service life. 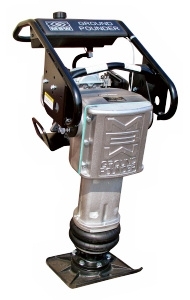 MBW is committed to reducing hand/arm vibration on its entire range of rammers. We have made significant progress without cutting back on rammer compaction performance. Hand/arm vibration levels have decreased between 25 & 60% across the range.